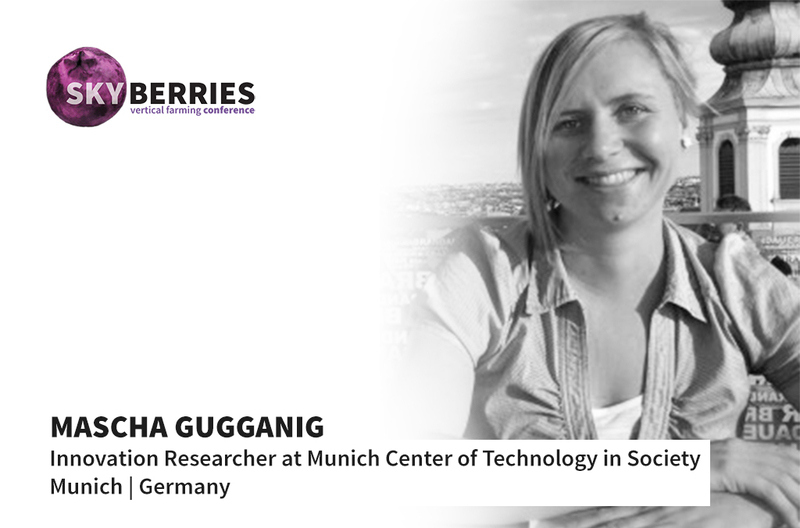 MEET - Mascha Gugganig at SKYBERRIES conference 2018! Mascha Gugganig is the principal investigator of the EIT Food (European Institute of Innovation & Technology) project “Cultivating Engagement: a citizen participation forum on vertical farming” partnering among others with PlantLab and EUFIC (European Food Information Council). As trained anthropologist, at the MCTS research group Innovation, Society & Public Policy she researches the socio-cultural, ethical, and political dimensions of how food, land, agriculture and technoscience intersect.